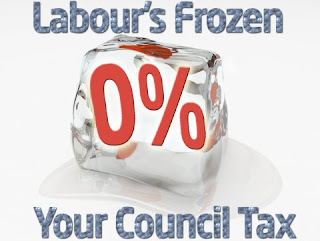 Labour councillors have agreed to freeze Lambeth’s council tax for the next two years. At a packed council meeting, Labour agreed there would be no increase in council tax this year or next. A two-year freeze is a stark contrast with the 40% council tax hike forced through by the Lib Dems and their Tory allies while they were running Lambeth before 2006. With the credit crunch hitting local households, Labour is determined to help in every way we can. We know that keeping council tax bills down will help. After the vote, Lambeth has the sixth lowest council tax out of the 33 London boroughs. Even better, we’ve been able to freeze council tax without the vicious cuts to services seen in Lib Dem and Tory-run boroughs this year. So how has Labour done this? Freezing council tax, protecting frontline services, and investing in more and better services all at the same time is quite an achievement. Quite simply, it’s because we’ve managed the council’s finances much better than the Lib Dems did. They put council tax up 40%, costing every household an extra £1000, but at the same time they cut services and left the council with zero financial reserves. People paid more but got less – that’s the Lib Dems for you. With Labour back in charge since 2006, we’ve cut out the Lib Dem waste and reduced the council’s overheads by £35 million. That’s meant more money to put into frontline services and keep council tax bills down. When we were elected three years ago we promised Labour would give residents a council that’s “on your side”. At the budget meeting, we made that promise real. Lunch clubs for older people will open in every town centre. Youth clubs will have their opening times extended seven days a week. There’s more money to help people through the recession with better debt advice, benefits take-up, advice to keep fuel bills low, and training to get people back to work faster. There are no service cuts. And there is a two-year council tax freeze. True to form, the taxaholic Lib Dems voted against the freeze. How’s that for the difference voting Labour can make? I got the flyer on this through the post today. Could someone explain where the £1,000 figure comes from?? If a 40% increase in council tax = £1,000 average, then that implies the average base level of council tax in 2002 was £2,500 (i.e. 1000 / 40 x 100). How can the average council tax paid be £2,500 and the highest band be £1,482??? Could someone please explain the maths behind the £1,000 cost?